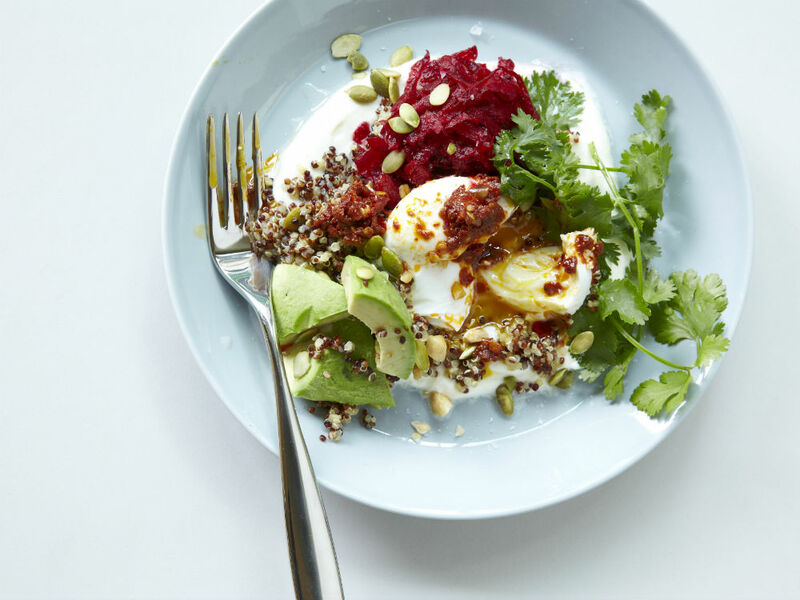 From beautiful bowls of granola to hangover fry ups (and everything in between) we’ve rounded up London’s best breakfasts and brunches, where the food is both delicious and highly Instagrammable. 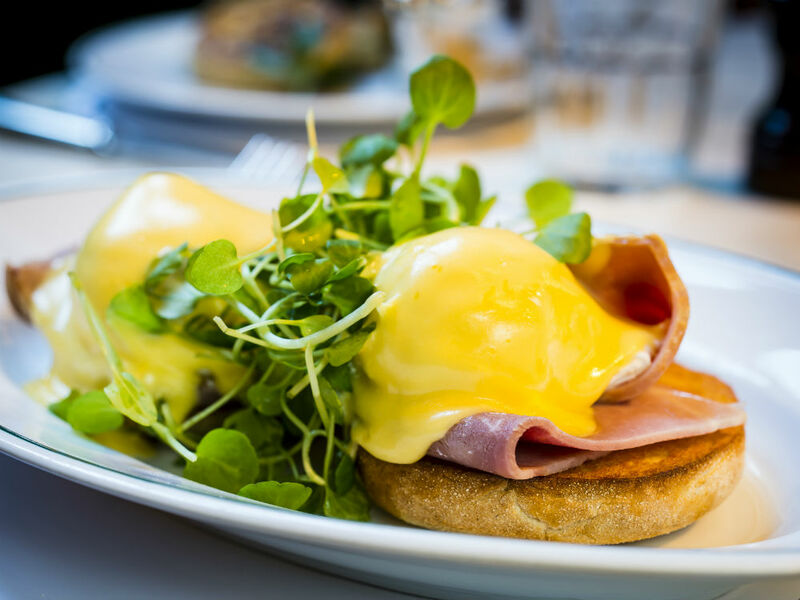 Just a stone’s throw from Leicester Square, J Sheekey is a classic West End pre-theatre brunch destination. The iconic seafood and fish restaurant, favoured by many Londoners, is well liked for its selection of sustainably sourced oysters, shellfish, crab and caviar. Yum! Grab a table from midday onwards and pick and mix from the à la carte options (there are vegan and vegetarian dishes available too so don’t worry). And if you’re going on a Sunday, there’s J Sheekey’s recently launched brunch menu, accompanied by live music performances. The salmon and tuna tataki (comes with a tasty green onion yuzu dressing) and the sautéed cod cheeks (served with jersey royals and asparagus) are great picks as a starter. For the main course, the mac and cheese with shrimp, Cornish crab and bacon or the surf and turf burger will satisfy all your cravings. And don’t forget to order a Bloody Mary (classic or with a bourbon twist) – they are simply delicious. In the heart of Mayfair, 34 has something for everyone. Located just off Park Lane, this has become a favourite among celebrities and royals, with famous faces spotted dining there all the time. The Art Deco interior sets the scene for the fine dining and soft lighting gives it all the elegance you’d expect from one of Richard Caring’s restaurants. The menu is equally well versed in the sweet and savoury. Many of the dishes are available in both smaller and larger sizes, so you can choose whether to have them as a starter or a main. The restaurant’s lunch menu runs alongside the special brunch offering, with its famous steaks and grills available to mix and match. For Easter weekend they are putting on a brunch and a spring lamb special – four days of its famous Weekend brunch menu with live music at the restaurant all weekend. A special spring lamb dish will also be available, Head chef, Harvey Ayliffe’s slow baked spring lamb with peas & morels, wild garlic and potato gratin. Delicious! 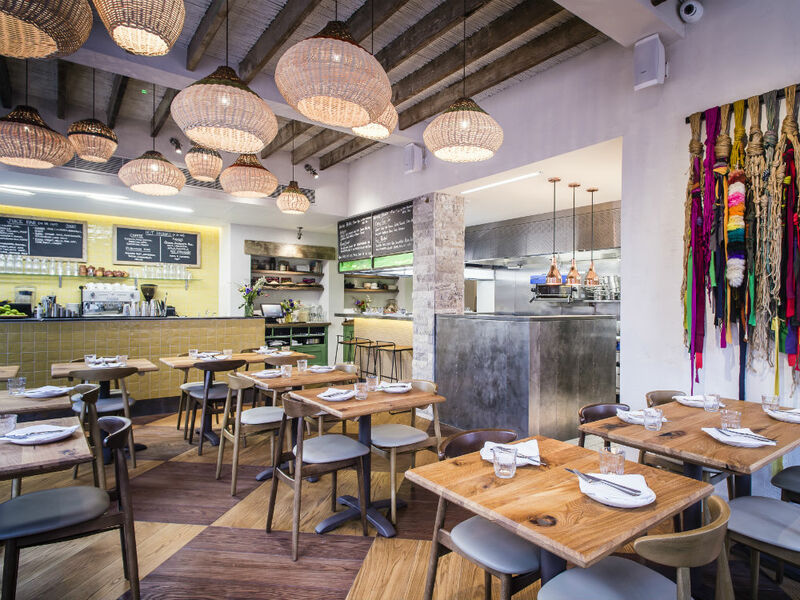 Located just off Portobello Road, on the ever-popular Westbourne Grove, Chucs is an Italian restaurant with a tantalising brunch menu and an amazing interior. The tall vases of flowers in the display window trick you into thinking you’re looking at the front of a high-end florist, but once you peek through the glass door, the 50s-inspired décor will lure you in (we’re talking retro-tiled floors, brass table lamps, crisp white table linen and vintage picture frame walls). The brunch options at Chucs are just as inviting. If you’re going for a late breakfast, there are classics such as fried eggs with tomato and basil (£8) and avocado and feta on sourdough (£11) to choose from. But it’s fair to say that the selection gets even more appetising as the day progresses, offering an incredible tuna tartare (£16), langoustine risotto (£26) and pizza bianca with black truffle (£33). In addition to its notable dessert menu (which includes a very creamy tiramisu), the restaurant also has outside seating areas worth mentioning. The smaller terrace upstairs is supplied with heaters and a wall-size painting of the Italian coast, while the patio downstairs is decorated with large mirrors and greenery. So definitely try and get a table outside, if the weather allows it. All-you-can eat offerings are sometimes a disappointment. Food quality can suffer at the hands of quantity, and there’s often a limit to what you’re actually allowed to eat (we all remember that Simpsons episode). 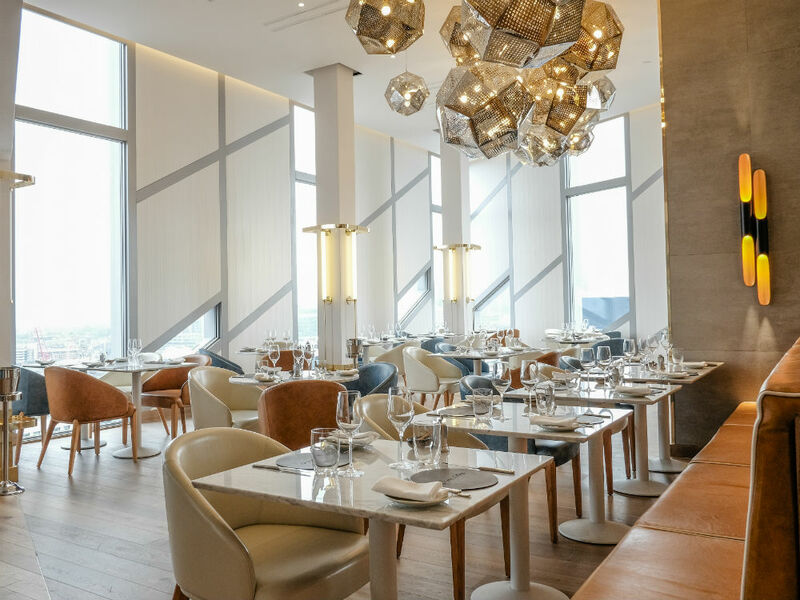 However, the pan-Asian Sunday brunch on offer at Kaia at The Ned (£45 per person, including a welcome drink) ticks every box that such a feast is meant to offer. Greeted with a welcome drink – we chose the delicious Grey Goose umami Bloody Mary – we spent the next two hours exploring the huge array of foods on offer at Kaia. From freshly prepared sushi to perfectly cooked and seasoned tangy lamb chops, there was something here for everyone. Big shout out to the crispy Japanese-style fried chicken, which we paired with the freshly-made matcha waffles and maple syrup for a wonderful meeting of sweet and savoury. Desserts were equally as wide-ranging, but we especially loved the coconut and mango squares, with some fresh pineapple on the side for an added tropical taste. A couple of lipsmackingly strong black Americanos later, we left Kaia very full, and very happy. 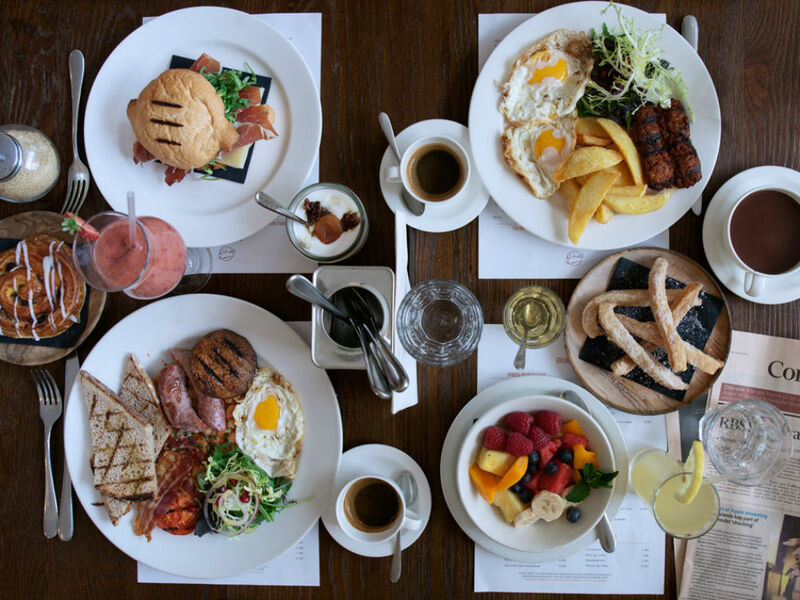 Based in the heart of Fitzrovia, Caravan is a well-loved address in central London for breakfast and lunch. On Saturdays and Sundays, the restaurant and coffee roastery offers brunch options such as a coconut, mango and banana smoothie bowl (£7.5) and chorizo, potato and cavolo nero hash (£12), as well as favoured classics like eggs (poached, scrambled or fried) on toast, porridge and the Caravan fry. After midday, Caravan starts serving pizza – definitely one of the best sections of their brunch menu. You can order a traditional pizza with tomato, mozzarella and basil (£9), or opt for a funkier variation like the one with kale, porcini cream, mozzarella and oregano (£9.5) – it’s really good. In addition to their tasty food, Caravan is also a good spot for coffee (they use their own blends) and cocktails. Or why not combine the two and order a Single Origin Negroni or Espresso Martini? For the first time in its 129-year history, The Savoy is offering a children’s afternoon tea. The theme? Beloved children’s book The Tiger Who Came To Tea by Judith Kerr, which celebrated its 50th anniversary last year. Choose from various sandwiches, tiger-striped scones and pastries that reference the story, all served on gorgeous bespoke china featuring illustrations from the story. We particularly love the Treats With The Tiger section of the menu, where you can sample sumptuous options including The Milkman Special (vanilla yoghurt and raspberry compote) and Mummy’s Cookie Crumbs (a dark chocolate cookie dipped in chocolate). Perfect for a half-term treat, become part of the iconic story and enjoy a delicious feast – just make sure you don’t get carried away and drink all the water in the taps, too. 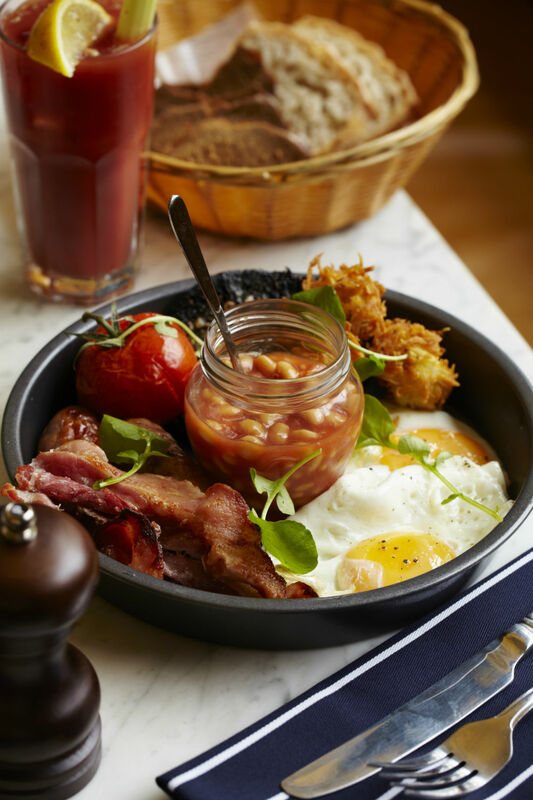 Located just off Piccadilly Circus, Sophie’s Soho is the breakfast spot you didn’t know you needed to visit. The recently launched menu is limited – only offering six options – but pleases everyone. 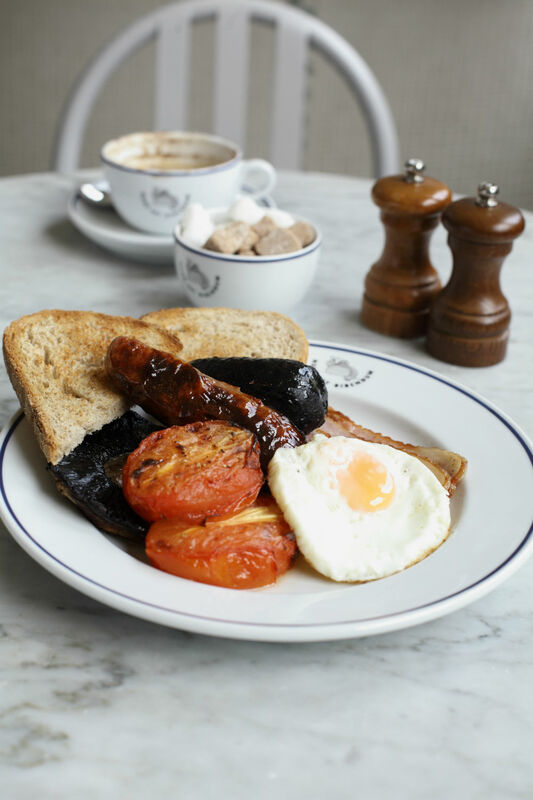 The Soho-based restaurant serves favourites such as a full English (£12), a brioche bap with breakfast sausage or thick cut bacon (£5) and Greek yoghurt with winter fruit compote and toasted hazelnut granola (£6) as well as sweet breakfast treats like croissants with butter and jam. What really sets the tone for Sophie’s Soho is the interior. The blush tones, wooden floors, green foliage, marble tables and natural light (thanks to the glass roof) work well for the Gram. 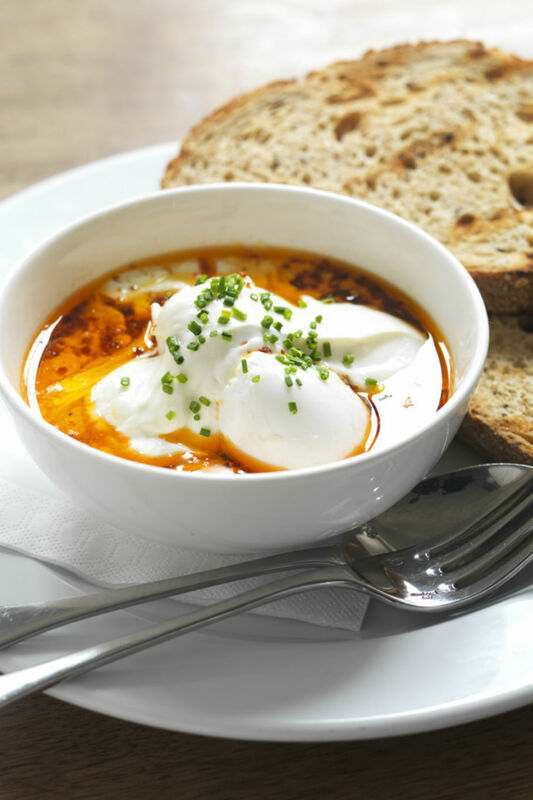 Even though that shouldn’t be the only reason for visiting this hidden breakfast venue – their Shakshuka (£9) is amazing too – it surely makes for a convincing factor. Nestled in pretty Henrietta Street in the cosy weekend spot that is Covent Garden, sits Avobar: London’s first all-avo dining destination where green is the theme. Bringing the Cali lifestyle to our London streets, this cafe has dedicated itself to the popular superfood. The interior is complete with bright scatter cushions and house plants galore, making it the perfect spot to become your regular health brunch haunt. 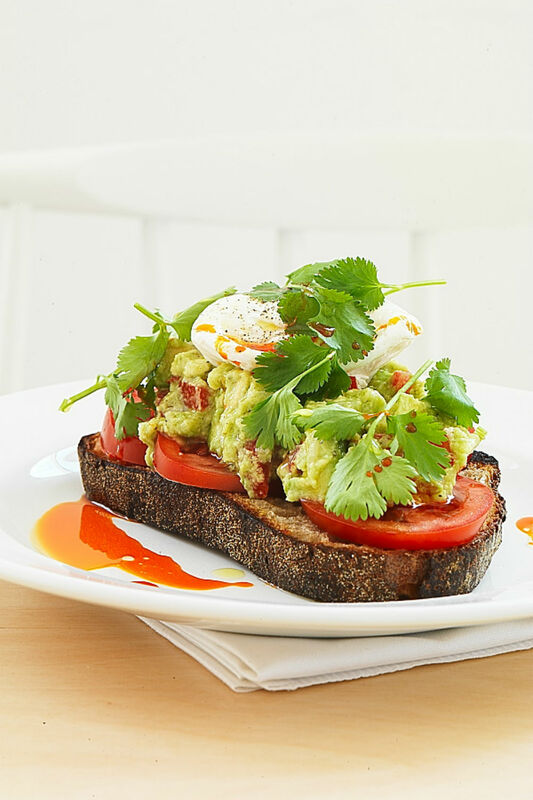 There is of course the classic smashed avo on toast -done to perfection with a sprinkle of chilli. (£9.70) However must-tries include: matcha pancakes with avo butter and caramelised banana, (£9) spicy huevos rancheros with guacamole, (£10.50) and kimchi grilled cheese sandwiches with kewpie mayo and avo slices (£9.20). After something lighter? The avocado cobb salad (£14.30) or avo tuna poke bowl (£12.60) are ideal. Finally, dessert and yes, you guessed it – they include avocado too. Vegan white chocolate cheesecake (£6.30) or avo chocolate brownies with sweet potato syrup (£4.90) will convert even the most unlikely of avocado eaters into full on fans in just a few bites. Of course, no brunch would be complete without fresh juice and coffee. We’d suggest trying the speciality turmeric or beetroot lattes (£3.40) or the avo-sunshine smoothie (£5.50) packed full of protein and antioxidants. Just to make you feel even better, all the avos used (and there are so many…) are all sourced sustainably from farmers around the world. Open from 8am- 10pm all week and 9am- 10pm on weekends on a walk-in basis, there is also a new evening menu coming at the beginning of February. Located in a Georgian townhouse on the edge of Hyde Park, just a two-minute walk from Bayswater tube station, is vegan French patisserie Café Forty One. Offering an all-day dessert menu, as well as a mouth-watering breakfast and lunch menu, it’s the perfect brunch spot for anyone that follows a plant-based diet, even if it’s on a one-off basis. From sweet foods such as brioche French toast with roasted plums (£9.50) and coconut Bircher muesli with caramelised bananas (£7.20), to savoury dishes like mushroom and black bean porridge (£7) and avocado on sourdough toast (£9.50), Café Forty One pleases all – and if you want to go for the full experience, there is the option of adding a side of vegan salmon. Of course, breakfast wouldn’t be complete without pastries, it is a French patisserie after all, and their banana muffins and viennoiserie are a must-try. Plain or filled with jam, the croissants are just as buttery and flaky as their non-vegan counterparts, and accompanied with un café, it’s the perfect way to begin your day. When you ask your server for their recommendations, and their answer is that ‘you come back, so you can try it all’, that’s a lot for your meal to live up to. Fortunately, Plaquemine-Lock, the brainchild of Bocca di Lupo chef patron Jacob Kenedy, more than lives up to that hype. Bringing you the very best of Cajun and Creole cuisine in the heart of North London, you can expect everything from fried chicken and cornbread french toast (served with pineapple and maple syrup) and cherry-pecan brownie, to deliciously dangerous cocktails (we can particularly recommend the ‘Hurricane’ (£10) with its tropical fruitiness followed by a hearty kick of rum). For main courses, we opted for the asparageggs (an exciting combo of asparagus, creole hollandaise and poached eggs, garnished with almonds flakes) and poached egg gumbo, but with vegetarian options and the iconic Louisiana ‘Po Boy’ sandwich (unfortunately only on weekdays) on offer too, you cannot go wrong. 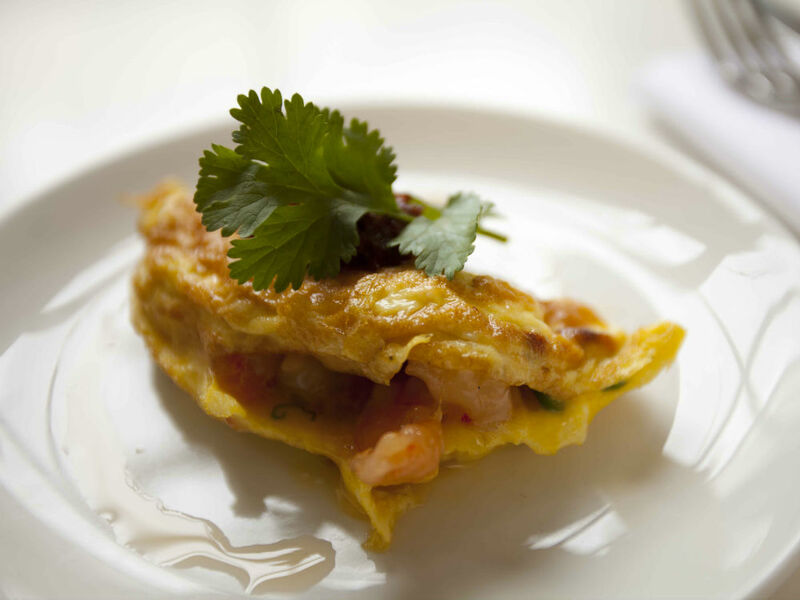 Weekend brunch at Plaquemine-Lock, available from 11am until 3pm, is priced at £14/£21/£25 for 1, 2 or 3 courses. Hidden in a peaceful corner of Devonshire Square, just a two-minute walk from Liverpool Street, you’ll find Devonshire Club, a five star boutique hotel and private members club with an amazing new weekend brunch menu. Serving eggs in every way imaginable – the baked eggs with chorizo and ricotta are a must if you want to change up your usual Eggs Benedict order – as well as several American classics such as smoked salmon bagels and bacon and maple syrup pancakes – another indulgent dish – and even a full English breakfast. For those who can’t decide, Devonshire Club offers its weekend brunch as a two-course (£25) and three-course (£30) menu. You can also add free-flowing Prosecco, Bellini, Bloody Mary or G&T for an extra charge. If you want to skip the alcohol, we’d suggest opting for one of their antioxidant juices – the matcha green tea, avocado and pineapple smoothie is simply delicious and the orange and carrot juice with turmeric and mint is packed with vitamin C. What better way to start the day? 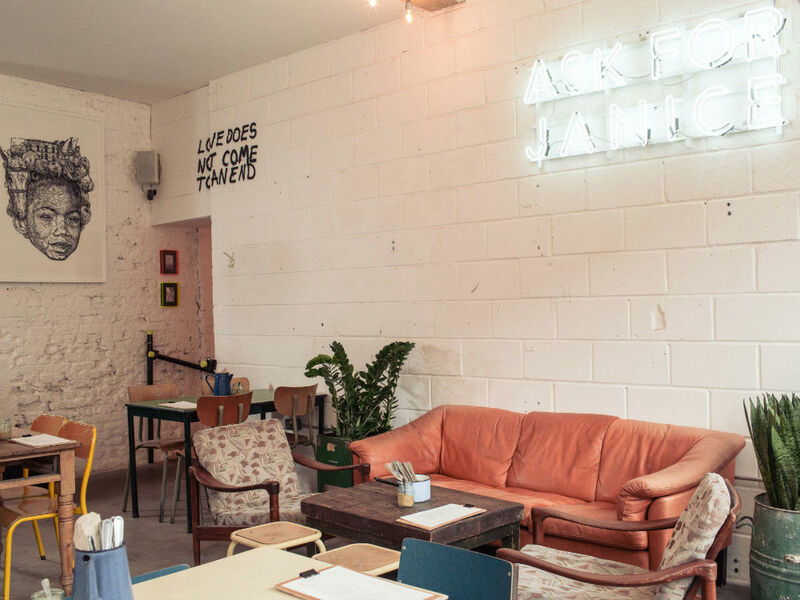 Located a stone’s throw away from London Fields in the heart of Hackney, Carte Blanche is officially the brunch spot to hit if you feel like you’re weekend is lacking that certain bit of decadence. The brainchild of Andy Taylor, co-founder of French-American burger bar Le Bun, Carte Blanche has seamlessly blended those two same cuisines to create the ultimate weekend brunch, designed with last night’s partiers in mind. Starters are meant for sharing, and with truffle mac’n’cheese (£4.50), fish tacos (£8), cauliflower buffalo wings (£5) on the menu, there is something for everyone. Big shout-out to the Nashville Fried Oyster (£4): trust us, you won’t even want to think about eating a raw one after this. The (delicious) main dishes are inspired by American diner classics, but on top of this, Carte Blanche has created a future legend: behold, the fried chicken & caviar benedict (£12), Andy’s signature fried chicken, served on a buttery English muffin, topped with a caviar hollandaise. With the option of a bottomless Bloody Mary, French Spritz, Fizz or Mimosa for just £20, we couldn’t think of a better way to totally indulge this weekend. You wouldn’t necessarily expect to find peace and tranquillity in Soho, but Kettner’s Townhouse offers exactly that. Less than five minutes away from Leicester Square tube station, the restaurant, champagne bar and 33 bedroom townhouse offers breakfast every day from 7am-12pm. 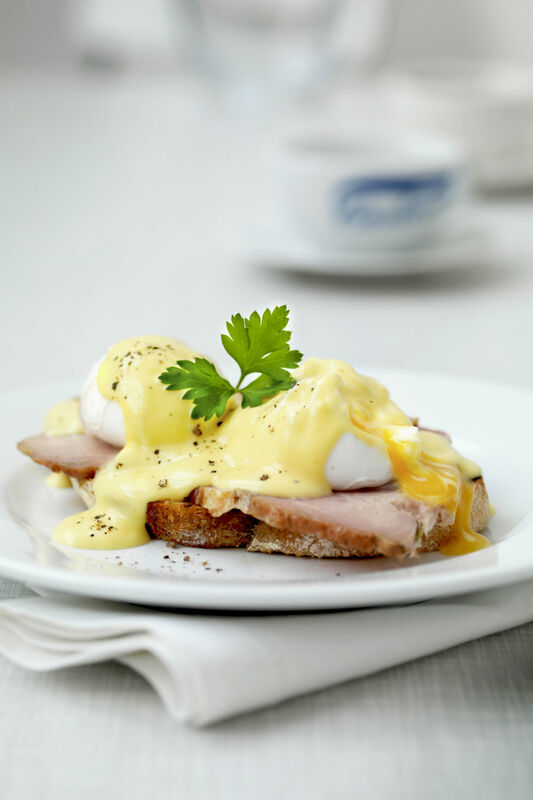 Kettner’s serves classics such as Eggs Royale (£12) or a Full English (£8/£14), as well offering the particularly indulgent option of adding Exmoor caviar to the dishes. We were blown away by the sheer number of freshly made juices and smoothies that Kettner’s offers, too – the Energy botanical (£4.50), with its mix of orange, mango, passionfruit, ginger, lime, cacao, maca perked us up and the Matcha shake (£5) was a delicious creamy healthy(ish) option to end our meal. 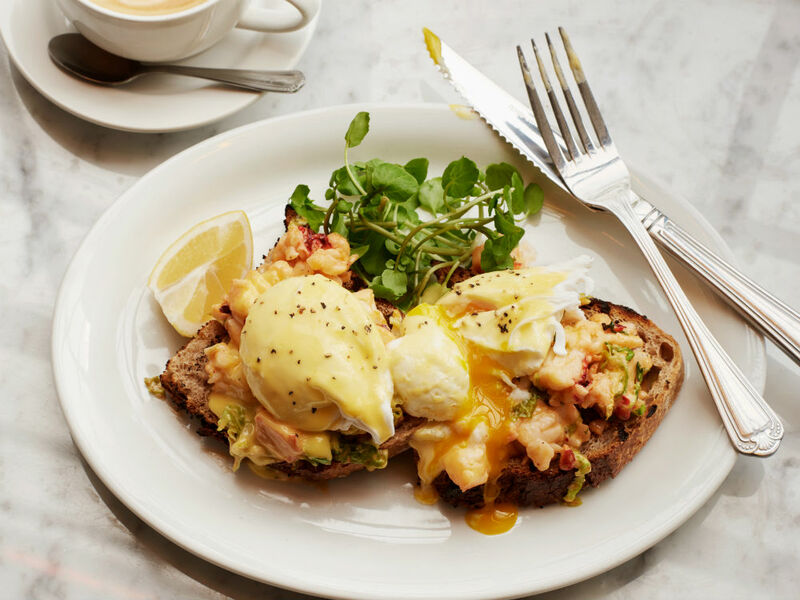 Nestled in the heart of Theatreland, Covent Garden staple Christopher’s has one of the most expansive brunch menus that this seasoned brunch fan has ever encountered – and quality is just as great as the quantity. In the sun-filled dining room, we were treated to superlative riffs on brunch staples from all over the culinary map. The Superfood Brunch menu means that even those who don’t see weekends as a chance to indulge will be in heaven: we loved the Born To Be Green super smoothie (£7) and the Avocado and Tomato Toast, with its perfectly poached egg on top (£10). If you fancy something more decadent, Christopher’s has also got your back here, too. The Lobster Benedict (£24) is generously laden with the most tender lobster, while the Milk Chocolate Brioche French Toast (£12) was out of this world… a heady combination of copious amounts of melted chocolate, brioche, ice cream. Combine this with the fact that a separate Build Your Own Pancake menu exists, and it’s clear that Christopher’s also caters for those with a sweet tooth. Make sure you combine your meal with a cocktail – it would be frankly rude not to, thanks to Christopher’s famous Martini Bar. We tried an incredible signature dirty martini, as well as a Vesper (named after the character from Casino Royale), which managed to combine vodka and gin without either becoming overpowering. Thanks to its delicious food and brilliant service, Christopher’s, a dinner-must for over 25 years, is now definitely one of our go-tos for brunch. It’s hard to beat the 360 views of London from level 31 of The Shard, home to its cavernous restaurant Aqua. And now there’s a brand new brunch menu to try as you drink in those uninterrupted views across St Paul’s and watch toy-sized trains far below sliding in and out of London Bridge. The new brunch offering is a push-the-boat out affair featuring truffle, lobster and Wagyu beef. At £48 for 3 courses, it’s also one to be lingered over well into lunchtime, as smaller breakfast-friendly starters of buttermilk pancakes and a dinky eggs benedict lead into main courses of beef sirloin, Scottish lobster thermidor and a decadent truffle-laced bubble and squeak. If you’ve still got room to spare there’s a pudding menu of white chocolate and lime cheesecake, brownies and treacle tart. 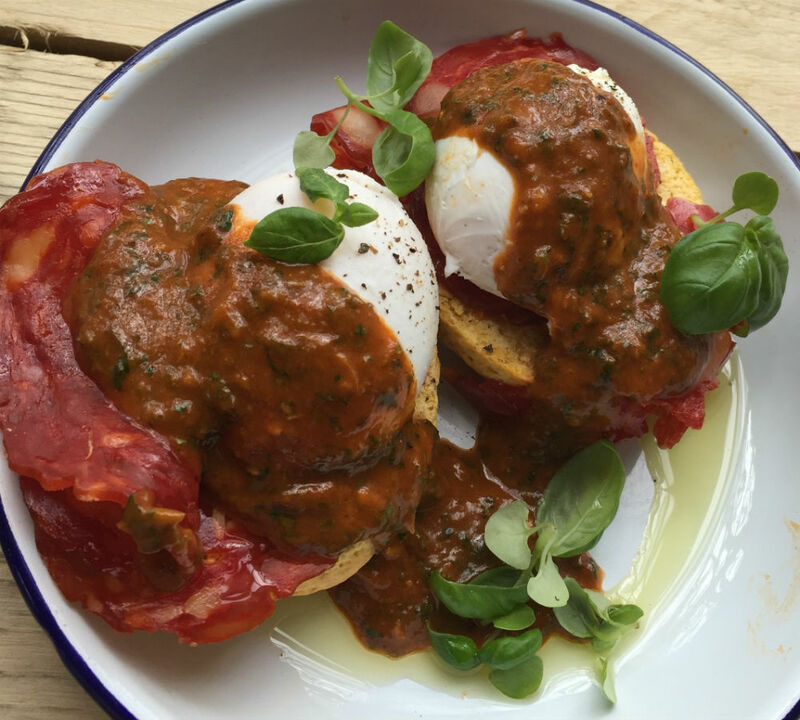 For all you East Londoners, we have found your new go-to brunch spot. WOLF, located on super hip Stoke Newington High Street, celebrates authentic Italian food – and, boy, does it celebrate it in style. Standard brunch ingredients like eggs and sausages are of course on the menu at WOLF, but head chef Karla Knowles (formerly of Petersham Nurseries) has turned these old favourites into new classics. Each element of our fennel sausage dish with deep fried egg, flat gnocchi and caramelised tropea onions (£10) was delicious both individually and combined, while my guest and I actually fought over each rich and salty morsel of the broken eggs with anchovies and capers (£7.00). We finished our meal with the banana bread (£7.50), where sour rhubarb and the comforting softness of the marscapone working together as the perfect foil for the banana. We also have to give the drinks a huge shout out – not only does WOLF offer a ‘bottomless brunch’ with either their Aperol cocktail or takes on a Bloody Mary or Bellini, their cocktail menu is the stuff of dreams. Each drink was developed in house: the combination of cardamom-spiced rum, cinnamon and pineapple juice in the ‘Ananas Speziato’ (£9.00) was totally incredible. WOLF also offers a dinner menu, so regardless of the time of day, you can savour a meal in a restaurant where food really is king. If you haven’t done brunch at the Granary Square Brasserie – the new restaurant from the team behind The Ivy Collection -then get in now. Slap bang in the heart of Kings Cross, by the famous fountains next to Regent’s Canal, it’s the perfect pit stop to refuel in one of the City’s most vibrant locations. It’s a place that celebrates, no, revels in its all-day dining concept seven days a week. The delicious all day brunch menu at weekends ranges from classic breakfast favourites such as home-made granola and Eggs Benedict, to an exquisite range of lighter offerings (think Crispy duck salad to Tuna Carpaccio) and more substantial meals (classic Fish Pie with salmon, cod and smoked haddock, a Slow Roasted Lamb Shoulder with roast vegetables and delicious steaks including an incredible Cote de Boeuf ). High on our recommendation list is The Hake – the best fish dish we’ve had in ages and the Shrimp and Scallop burger is to die for. Go for the weekend brunch menu (until 4pm) and experience the resident DJ by the central cocktail bar in the heart of the restaurant as you settle into the sumptuous velvet banquette seats with a Bloody Mary. If dining ‘al fresco’ is your thing, check out the terrace for views across Regent’s Canal. With its coloured parasols you can almost believe you’re in the Riviera. 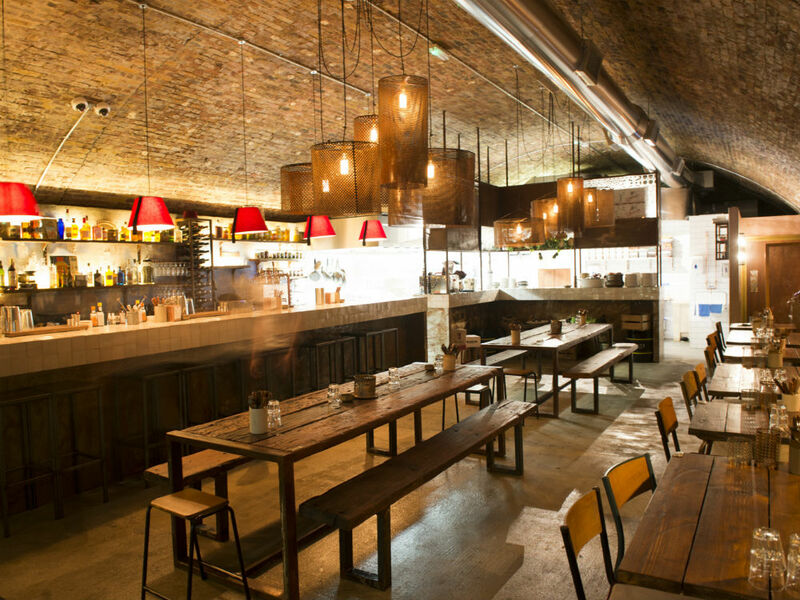 What a little gem we’ve discovered hiding 20 seconds from Shoreditch’s Brick Lane. Opening in September Pickled Fred has been dishing up a new take on Asian food with dishes like the incredible roasted cauliflower or beef shin and bone marrow rending, there’s something for all – vegans, vegetarians, gluton-intolerants and carnivores. So we were extremely pleased to hear they’ve just launched a less than ordinary brunch menu available from 11:30 to 3pm. If you need a change from Eggs Benedict (as delicious as it is) how does this sound – Halloumi Fries with harissa yoghurt and pomegranate; Chermoula Aubergine with labneh, dukkah, pickled cherry tomatoes, rocket, feta and cous cous or a Jackfruit Scotch Egg that will make you seriously question how something that good and convincing could really be meat-free. Also on offer is a bottomless brunch for £25, you can have a flatbread of your choice with 90 minutes worth of unlimited Bloody Marys, Aperol Spritz or Prosecco. 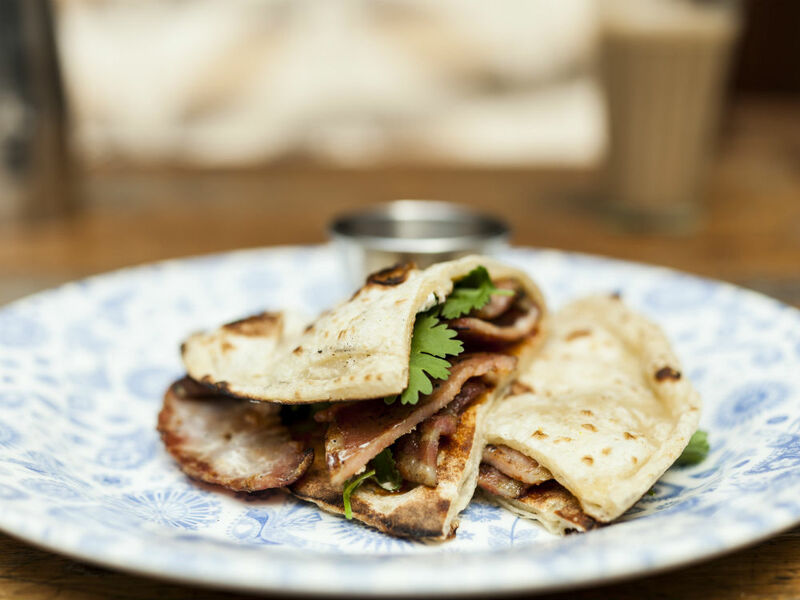 The bacon naan has become the stuff of brunch legend in London, with eager queues of early bird city dwellers vying for a table. Luckily they serve coffee in the queue. There’s a friendly neighbourhood feel to this chic, award-winning independent cafe on Lavender Hill. It’s also a great compromise if the group you’re meeting up with includes both a hungover pal in need of a salty fry-up and a virtuous yogi who’s been up since seven and wants to mainline some grains. 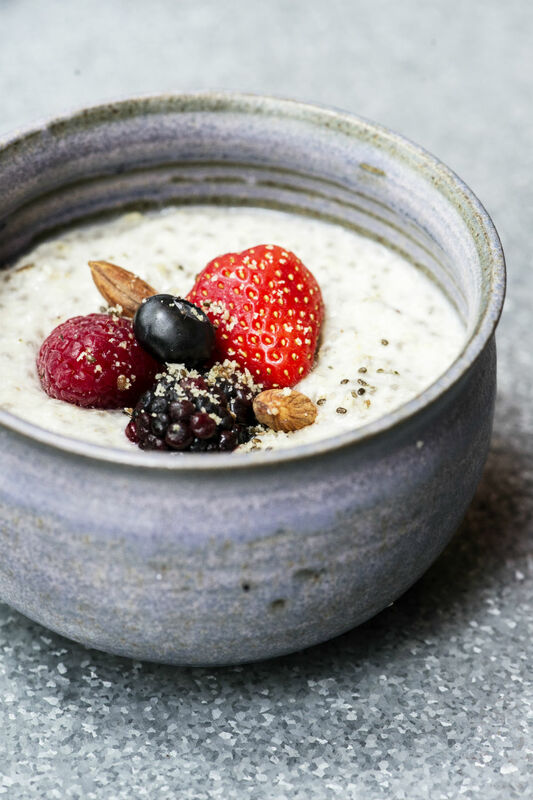 From the ‘something filling’ section of the menu there’s delicious chai-spiced French toast and the full English ‘Pantry’ breakfast, while your yogi friend will love the super-C smoothie bowl. Take an early morning stroll (or jog, dare we suggest?!) around the Barbican before heading to the quirky Ask for Janice for brunch, where you can order a breakfast burger in between taking pictures of the kooky but cool interiors. Run by old pals Kate and Maria, The Continental Pantry serves food inspired by the pair’s upbringings in Madrid and London. Pop in first thing for some fresh, crunchy sourdough with butter and jam, or mashed avocado on toast with lemon and smoked salmon. The party never really stops at this 8am – 3am breakfast/lunch/dinner/late night newcomer in the heart of Soho, and rightly so given the building’s history as the site of the old Marquee Club, where The Rolling Stones did their first ever live gig. Saturday brunch is a fun, buzzy affair where bottomless Prosecco is encouraged and the three-course menu mixes classic 11am favourites – smoked salmon and scrambled eggs – with dishes like harissa and agave roasted aubergine. Worth booking in for a long sitting. Following an extensive refurbishment, Savile Row’s Sartoria re-opened its doors in late 2015 with a brand new breakfast menu to sink your teeth into. 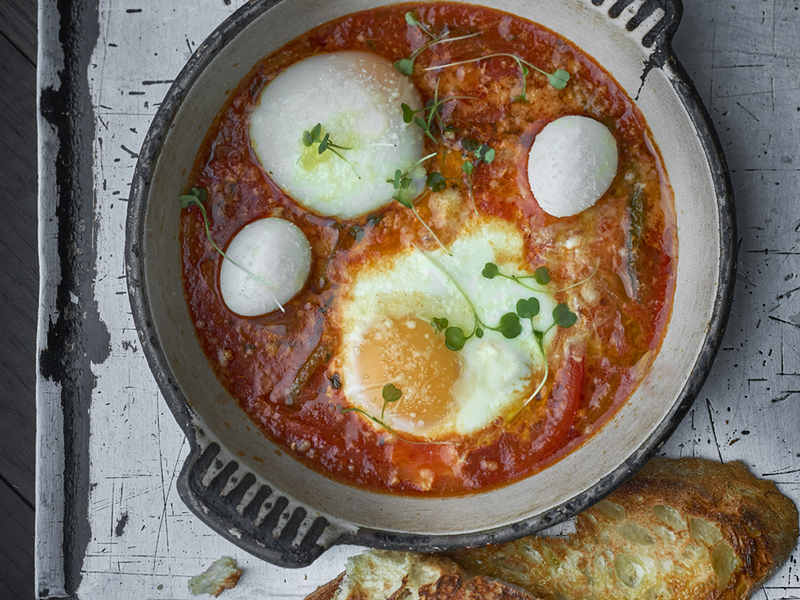 With classic Italian cooking – courtesy of renowned Italian chef Francesco Mazzai – our highlight has to be the Eggs Purgatorio, a rich egg baked in a spicy tomato sauce with freshly baked Italian breads on the side. While it may not be your usual breakfast dish, confit turkey hash with poached eggs and spinach has become a firm favourite at Village East. If you’d rather save turkey for Christmas, then you can order up their Campfire breakfast or the protein-filled Steak & Eggs breakfast right up until 4pm on the weekends. Want to go out for brunch but love your dog too much to leave him / her at home? M Restaurants has launched a weekend ‘Dine With Your Dog’ brunch menu at their branch in Victoria, where you and your furry pal can kick off the day together with a two-course brunch and some bottomless bellinis (for you). If you want total immersion in the dog-dining experience you can even partake in the ‘six legs brunch’ menu, which features a specially tailored menu of two courses each – two for you, two for your dog (no Pedigree Chum, we promise), but if that sounds a little close to the bone (sorry) you can leave your dog to the four legs menu and tuck into some quinoa porridge, followed by waffles with maple butter. We took Piper (below) to try it out and she licked the bowl so much she pushed it across the room with her nose. The dog equivalent of a five-star review. Seafood lovers, rejoice! The Lobster Bar in Hackney serves up a variety of seafood brunches (beyond smoked salmon and scrambled eggs.) We recommend the indulgent Lobster Benedict. 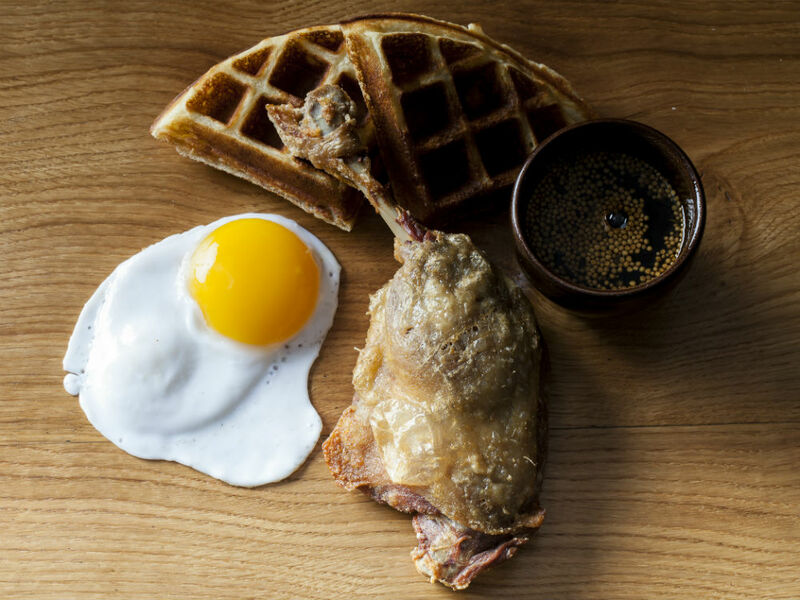 Rawduck might be a cool Hackney breakfast hang-out, but the food shows there’s substance there as well as style. Make sure you order one of the ‘Sparkling Rhurbarb Shrub’ breakfast cocktails. If you’re up north, dip off a side street on Abbey Road and make your way to The Clifton, a historic 19th century pub. While it was closed for a little while, it’s finally reopened as a modern gastropub and the menu is serious.You’ll get all the regular brunch staples with a dash of the uncommon – smoked hake, anybody? – and if you’re feeling truly decadent then you can kick off the affair with a cheeky oyster and perfectly spiced Bloody Mary. The portions are pretty major – we had the waffles served with crispy Dingley Dell Bacon and fried duck eggs (naturally topped off with a generous helping of maple syrup) and it could have probably fed two people. There’s no place better than their glass conservatory on a sunny day. The best breakfasts London has to offer don’t always feature avocado and eggs. The Han Setto weekend brunch at ROKA is perfect if you’ve had enough of that to last you a lifetime. 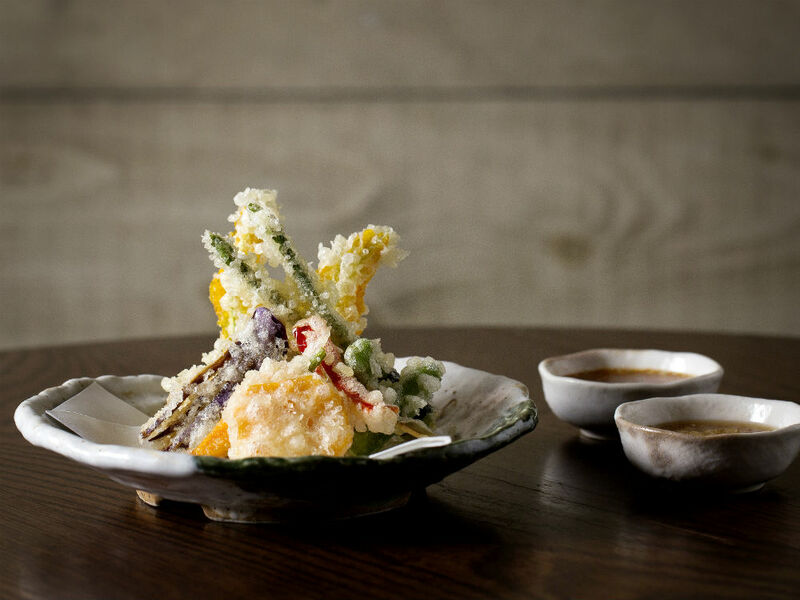 For £59 (which includes a bellini when you arrive and wine) or £43 if you’re off the booze, the brunch features some of the Japanese restaurant’s star dishes, like the raw salmon, avocado and wasabi tobiko maki and the beef, ginger and sesame dumplings. The first course is followed with a Japanese robata grill of fresh fish and meat and a dessert platter. Delish. If the setting for you is just as important as the food, then the beautifully plush Ivy Kensington Brasserie is definitely the place to go if it’s a special occasion. 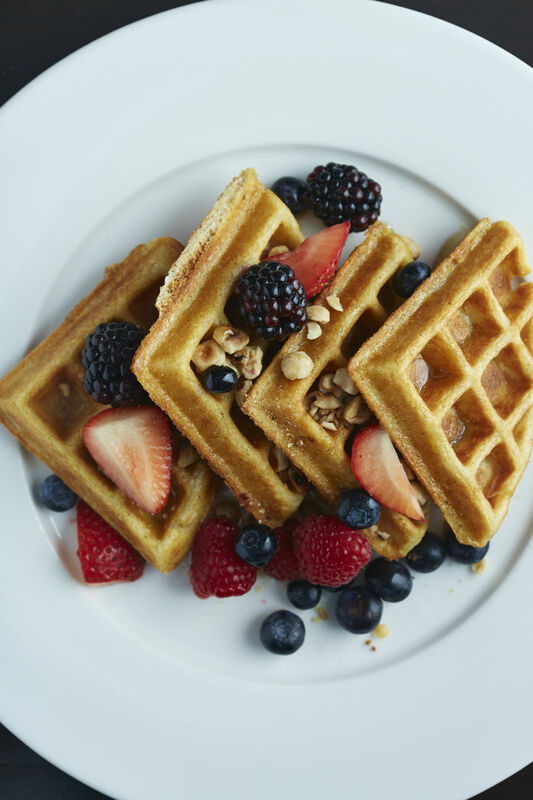 The weekday breakfast and weekend brunch menus are full of classic dishes with some luxurious additions. Truffled eggs, anyone? Step into The London EDITION for a taste of their renowned breakfast menu in a beautifully decorated restaurant. With high ceilings, walls covered in paintings and attentive waiters, this is a pretty special place to start the day. Sack off the healthy options (chilled citrus salad with ginger and lime is one) for the Hazelnut waffles, berries and cream. With a working bakery downstairs you can just be ‘popping out to buy some bread’ when you head to Foxcroft & Ginger. And while you’re there picking up your sourdough or rye, you might as well try something from the incredible breakfast menu. 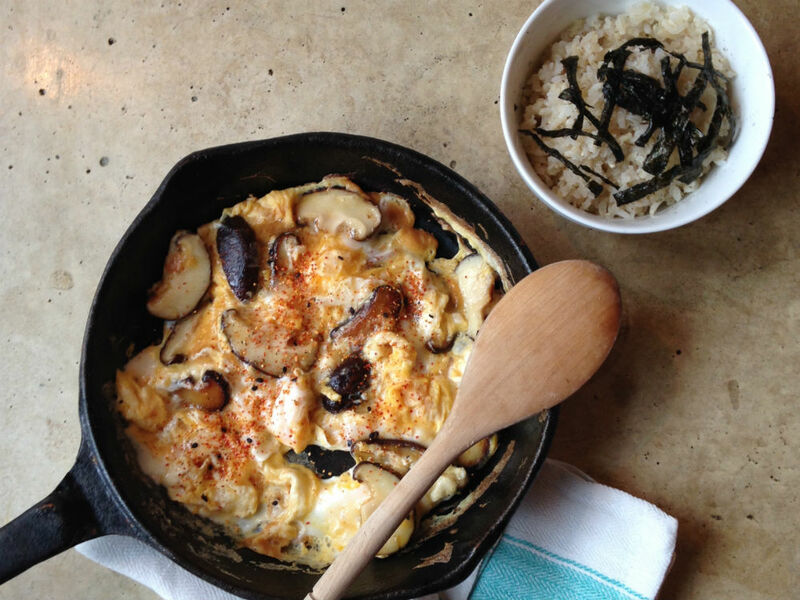 All the egg dishes are spot on. Italian-themed bar and restaurant Bunga Bunga has been running legendary party brunches in its Battersea branch for several years now. These generally feature loud music, a never-ending supply of prosecco and more breakfast-themed Italian food than you can finish, including the ‘Bunga Benedict’ and ‘Englishman’s Breakfast’ pizzas. If you’re not quite up for the noisy Battersea fiesta, Bunga Bunga’s Covent Garden sister restaurant BungaTINI has just launched a new ‘Wood-Fired Brunch’, which includes unlimited bellinis, wood-fired pizzas and a fun party atmosphere without the raucous crowd. Burrata for breakfast? Why not. A really good hotdog is an underrated thing, perhaps unfairly getting less airtime than the ubiquitous burger. 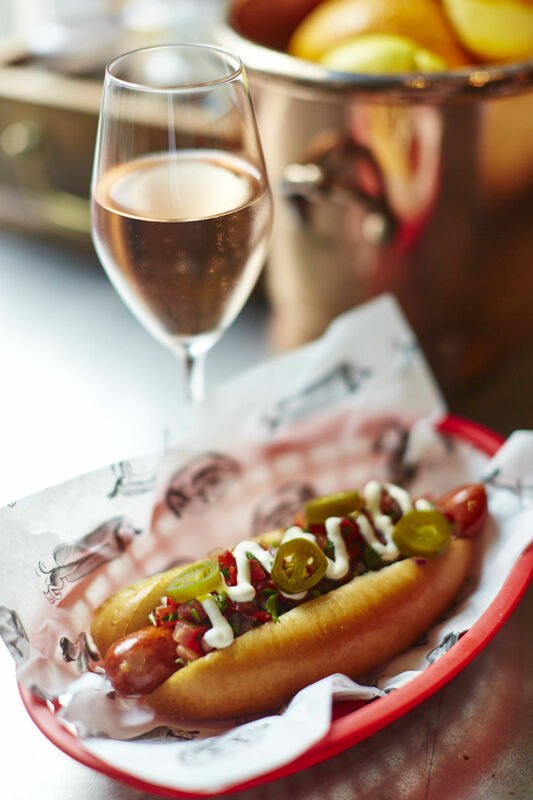 But champagne and hotdog joint Bubbledogs has been working to change all that since it launched in 2012, brainchild of Sandia Chang and her husband James Knappet, who now runs a Michelin starred restaurant called Kitchen Table at the back of the venue. This year Bubbledogs has branched out into the brunch market, teaming up with artisanal spirits company The86Co. for weekly brunch parties. There’s a Bloody Mary menu and the hotdogs are served with a sunny side up fried egg. We recommend the Jose (above) a hotdog topped with fresh tomato salsa, avocado, sour cream and pickled jalapenos. Fantastical, photogenic and bloody well brilliant, sketch may be a little bit out of your budget to become your ‘regular’ but this is definitely a place you can name-drop and Instagram to your heart’s content, which is what most of us want these days from a meal out, isn’t it? Once you’re there, you might as well hang around for their equally brilliant Afternoon Tea. Billed as ‘feel good fast food’, Bel-Air founder Andrew Bredon aims to bring a bit of LA to EC2. The cafe serves up a selection of breakfast pots, including their appropriately named Muscle Beach which has grilled steak, smokey spinach, sweet potato and a poached egg. Perfect for those wanting to make some #GymGainz. Currently daydreaming about spending your days on a beach somewhere with a wildly good looking man fanning you? Take a trip to Peru (while staying in Shoreditch) at Martin Morales’ Andina where you can eat Granola Andina and greek yoghurt or Peruanazo which is two fried eggs, tacu-tacu with rice and butterbeans, belly bacon and saltado criollo. Who needs the bright blue shores of Mancora? With a permanent queue snaking outside of its door, Berber&Q has become the hot brunch spot in town. A newly launched menu will further cement its reputation for being one of the best places to start the day. We suggest getting there early. 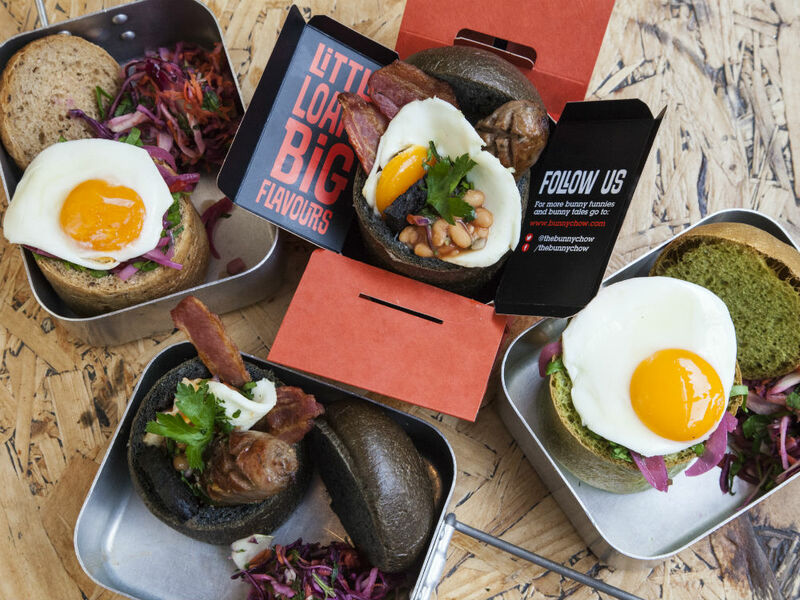 South African Street Food concept BunnyChow serves up a particularly delicious veggie breakfast option with salsa beans, aubergine, peppers, spice-kicked red onions and a fried egg. Enough to tempt even the strongest carnivores. 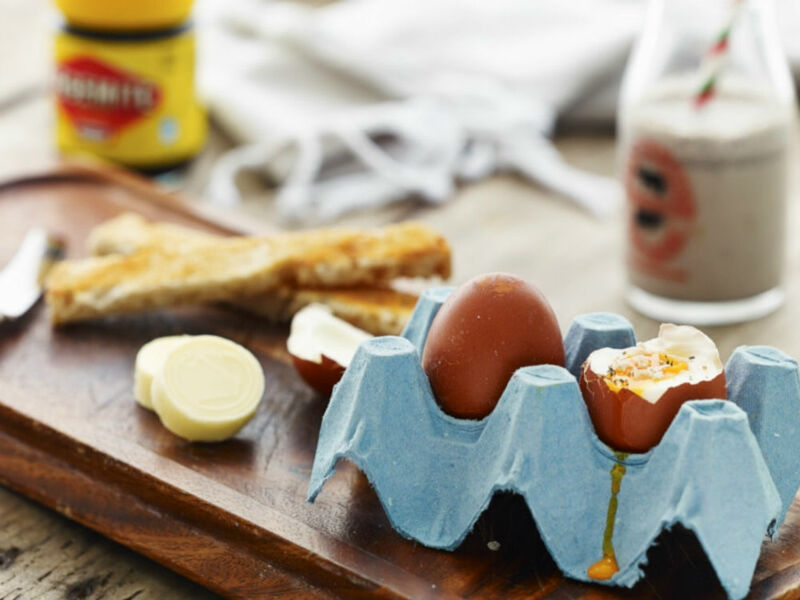 While Brew do an incredible take on Turkish Eggs, we’re more likely to order the soft-boiled eggs with soldiers – which come with a choice of Marmite or Vegemite, may we add – as an homage to our childhood days spent dipping soldiers into runny yolk. One of the best tapas restaurants around, Casa Brindisa also serves up a mean breakfast and brunch. Try their mushrooms, scrambled eggs, tomato and Manchego or just order like there’s no tomorrow and scoff a whole plate of Iberico ham yourself. We won’t judge you. 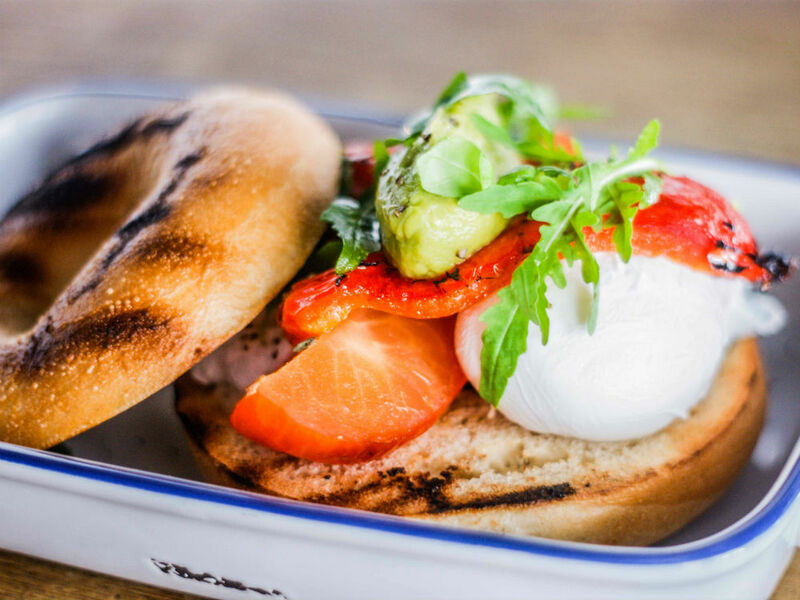 A favourite spot with the Chelsea lot, Eelbrook’s brunch should ideally be eaten al fresco on the terrace overlooking London’s Eel Brook Common so you can people-watch as you munch. 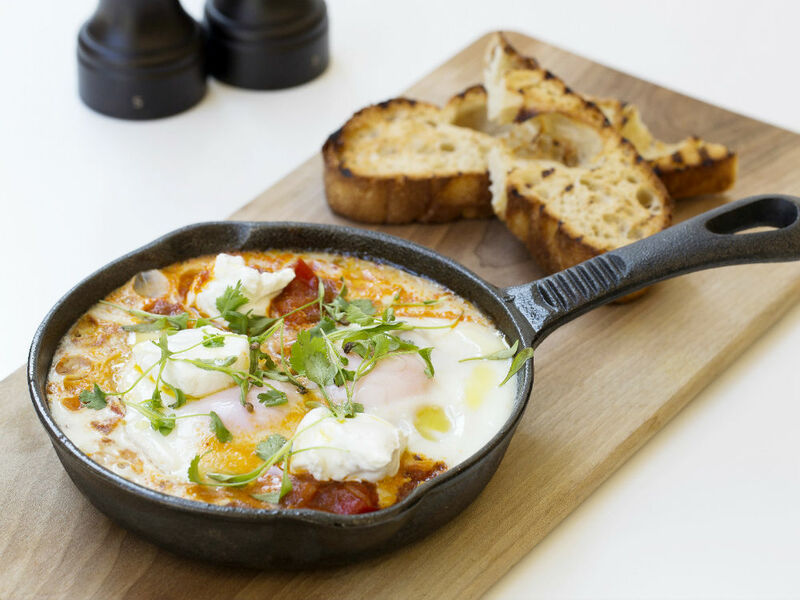 We love the Baked Tilley’s Eggs with tomato, yoghurt, harissa and grilled flatbreads – a London brunch with a Middle Eastern twist. 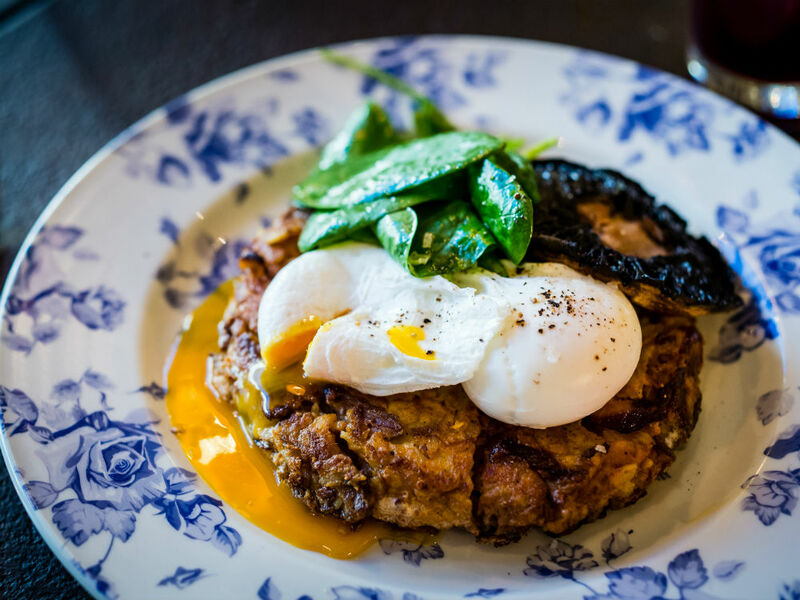 Make like Julia Roberts and head to Notting Hill for a breakfast with a twist at Farm Girl. 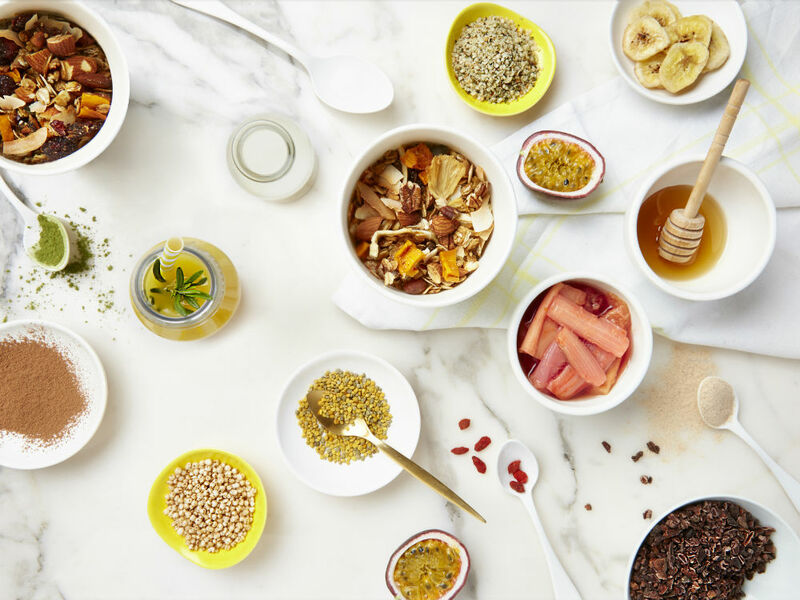 With naturopathic doctor (nope, us neither) Melly Lou of Liquorice Lifestyle advising on nutrition for the menu, you can guarantee you’ll come home feeling grrrreat. 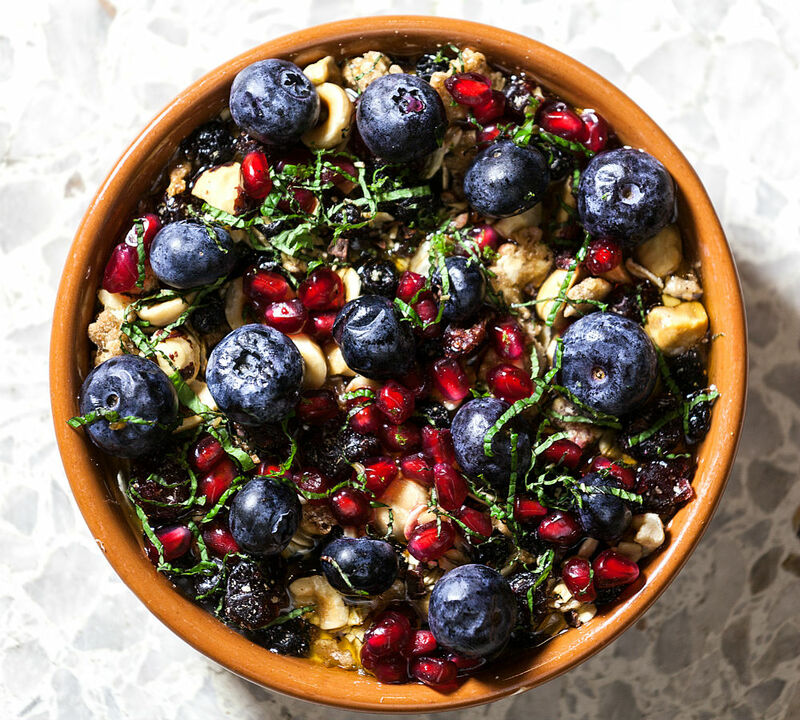 Go healthy with the slick Granger & Co by ordering one of their fruit and grains dishes with a smoothie; we’re a big fan of the buckwheat bowl. With a full range of breakfast dishes going on, OPSO is one of the most loved brunch and breakfast places in the Marylebone area (and, for that matter, the city). You can either choose to start your day off right with their Earl grey infused rice porridge or one of the granola dishes or indulge your naughty side with the pancakes. We like them covered in praline spread and hazelnuts. Famous around London for being one of the best delis around, Ottolenghi serves up a mean breakfast. While the whole menu is great, it would be wrong to go there and not order their signature Shakshuka. It’s seriously tasty. As one of the first restaurants to bring brunch to the capital, Providores pulls a big crowd and regularly has a queue of hungry punters outside. They’ll all be ordering Peter Gordon’s signature breakfast dish, the Turkish Eggs. 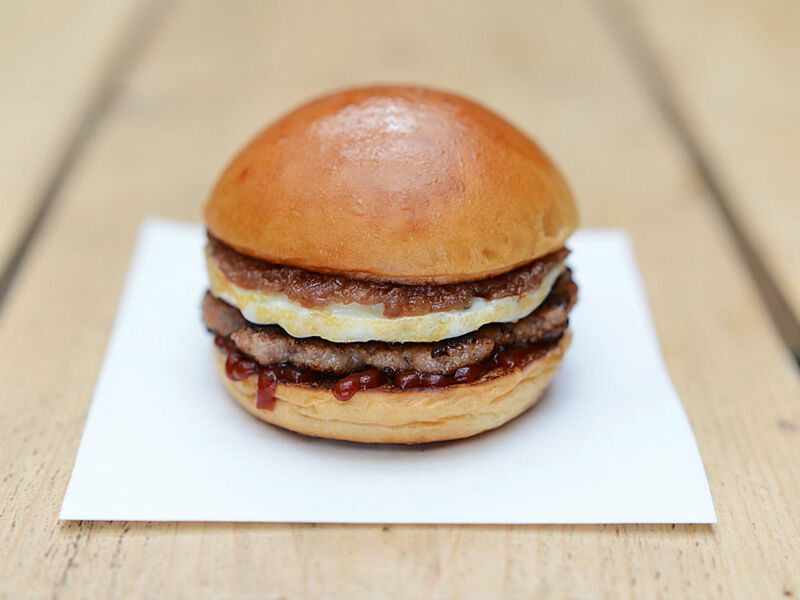 Street Kitchen on the Broadgate Circle is run by Jun Tanaka and Mark Jankel with a mission to serve up ‘slow food, fast.’ Pick up a Caravan Roosters coffee from the barista before stuffing your face with one of their SkMuffins with farm sourced ingredients. The Jam Tree does classics with a twist (where doesn’t these days?). We suggest ordering the black pudding, apple and chutney on toast as well as one of their nine variants on a Bloody Mary. Another name on the tip of every foodie Londoner’s tongue, The Modern Pantry is a place for those who like their breakfast healthy. We’d go for the Honey roast oats, seeds and nuts with grated apple, pomegranate and greek yoghurt if we were that way inclined… you know, you could just eat their less healthy sugar-cured omelette. 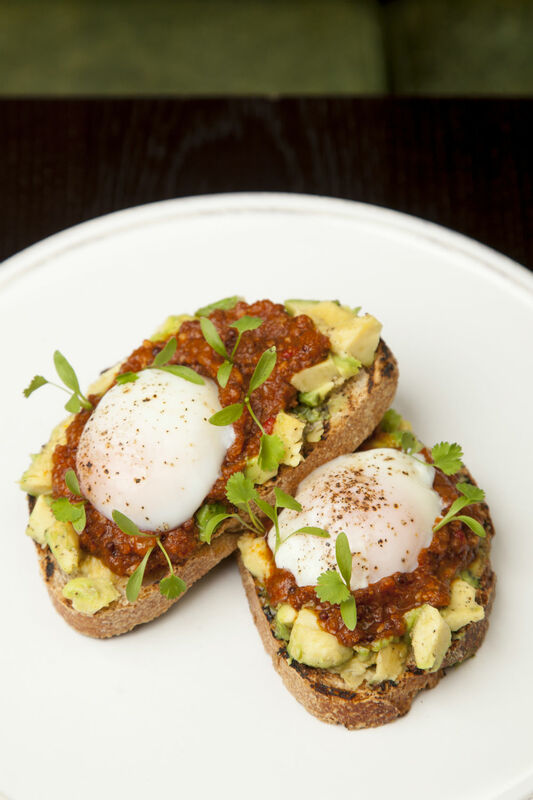 Marcus Wareing’s informal restaurant in Covent Garden has a great brunch/breakfast offering with cheat day treats such as caramelized banana eggy bread with bacon, maple syrup or chorizo jam and slow cooked egg, avocado and toasted sourdough. If you’re sticking to the diet plan then you can order granola or a seasonal veggie frittata. If you’ve got a sweet tooth from the moment you wake up then Whaam Banh Mi have got you covered. 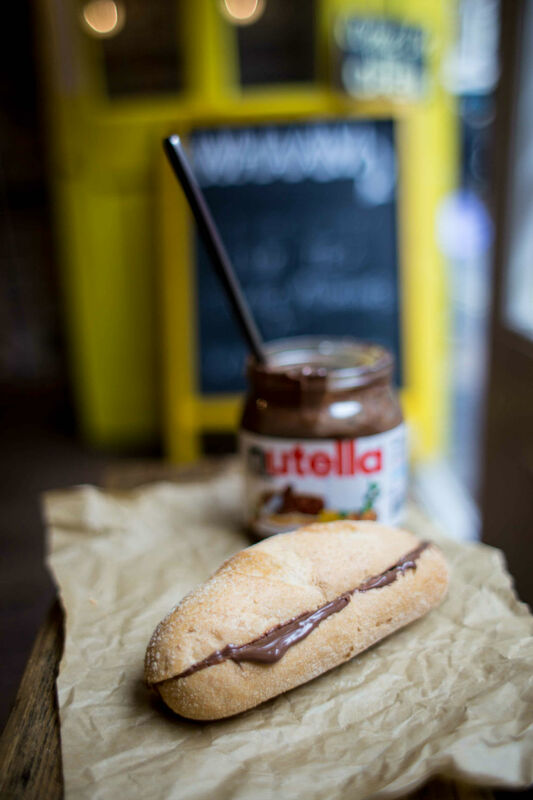 Chocoholics should order the fresh, daily baked Banh Mi smothered in Nutella. Isn’t London amazing you can now enjoy the best of Latin American cuisine as a bottomless champagne brunch. London’s first Peruvian restaurant that opened to critical acclaim in 2012 has launched a brand new menu including their new signature brunch cocktail the ‘Pisco Mary’. Dine on Peruvian dishes such as Corvina Trufa (Corvina ceviche with truffle) and Arroz Nikkei (Chilean sea bass casuela) created by Executive Chef, Sanjay Dwivedi and served in the South American inspired dining room. As the DJ plays chilled house you can relax while the in-house nanny keeps the kids entertained (Sundays only FYI). Situated opposite Green Park and 5 minute walk from Bond Street it’s the perfect location to take a break from some serious window shopping. Situated inside the effortlessly chic Bankside Hotel, the Art Yard Bar & Kitchen offers up a brunch experience like no other. With a selection of small plates such as melt-in-your-mouth burrata and mushroom arancini, as well as four different types of wood-fired pizzettes to choose from, this wide-ranging menu provides the perfect reminder as to why brunch is definitely our favourite meal. If you fancy a classic brunch experience, opt for a large plate such as the french toast with apple brandy ice cream, or the delectable smoked haddock hash with sea beets and cucumber yogurt. Running its dreamy breakfast every Saturday and Sunday from 11.30am-4pm, the Art Yard is certainly one to be added right to the top of your brunch spot hit-list. There’s a bit of a story behind this one so bear with us: Bibendum is named after the Michelin man (yes, the Michelin man). He’s actually known as Monsieur Bibendum, a name which comes from the Latin phrase Nunc est Bibendum which translates as ‘now is the time to drink’. While this may be a slightly inappropriate name for a mascot used to advertise car tyres, it’s a bloody great name for a restaurant. With all that in mind, we’d recommend heading there for the two most important Bs in life: breakfast and a Bloody Mary. Parlour’s quirky breakfast menu features classics such as smoked salmon with scrambled eggs as well as their full English Parlour Breakfast. You can also DIY at their toast station with some fresh baked bread. Have you got a favourite breakfast place in London? Tell us in the comments section below.